American pop singer Jason Derulo is going on a promotional round in South Korea with plans to stop by a popular radio show. On Sunday, Jason Derulo, an American pop artist who has achieved global fame, touched down in South Korea. 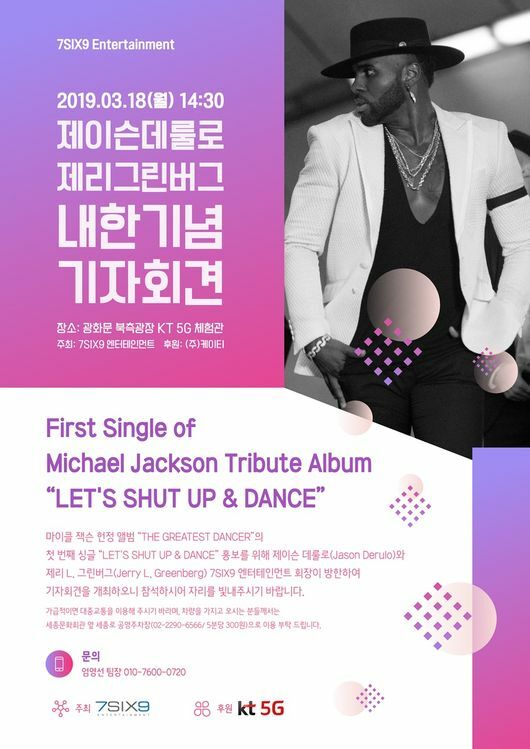 His visit to the country is part of a promotional tour the singer is conducting to promote his single “Let’s Shut Up & Dance” featuring EXO Lay and NCT 127, on a tribute album to pop legend Michael Jackson. As part of his promotional tour, the Derulo will participate in a recording for MBC FM4U radio show “Bae Cheol-Soo’s Music Camp” on Tuesday. Notably, this is the singer’s first appearance on a local radio program. As a result, many are anticipating an interesting and engaging conversation between him and the show’s host, Bae Cheol-soo, who is considered a pop music expert. Before his radio appearance, Derulo is scheduled to participate in an event at the KT 5G Experience Hall, which is operating in Gwanghwamun Square in Seoul. There, he will have a press conference where he will talk about the tribute album and the collaboration with Lay and NCT 127. On another note, Jerry Greenberg a producer and friend of such acts like AC/DC, Led Zepplin, and Michael Jackson will accompany Derulo during his visit and join the press conference. Greenberg participated in the creation of the album, being the chairman of 7SIX9 Entertainment, the music label that produced the record. Additionally, with this collaboration between American and Korean pop singers, the producer has expressed interest in starting other such projects in the future.